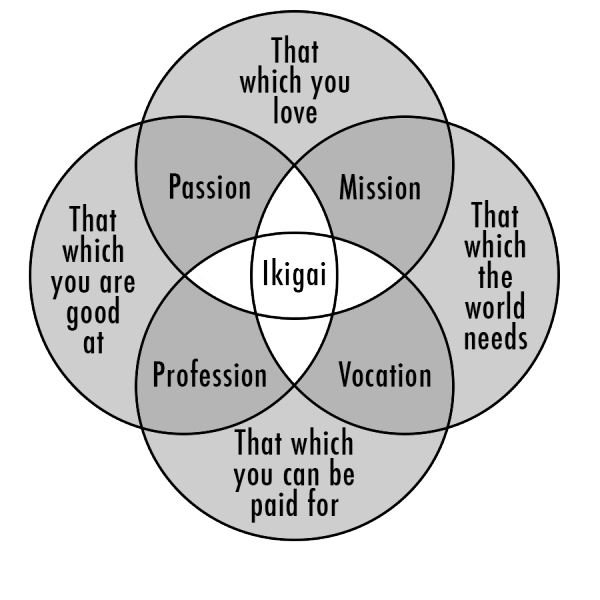 Ikigai – the place where passion meets mission, vocation and profession. A place where we sit, contented and ‘right’ with the world, a place of where the energy flows freely, beautifully, productively. A place where we have purpose. When this diagram appeared on my personal Facebook feed last week I just had to share it. I also promised myself that I’d take some time out to give form to what each arm of the diagram means to the ‘Realize Beauty’ me. I guess in doing this it will be a sort of business ‘sanity check’ or review…. I love the concept Pam! It’s something I strive to do.